CLICK ON THE PICTURE TWICE, AND YOU WILL SEE WHAT IS IN THE BOOK. 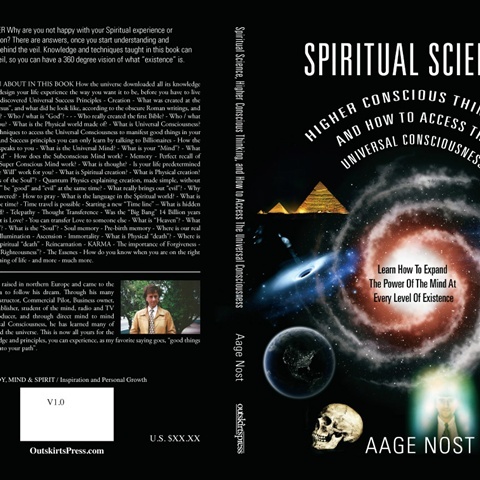 THIS BOOK IS UNIQUE, in that it teaches about the Universe, how it works, what it is, what's is behind the curtain to the unseen world, the Real Power of the Mind, how to communicate with the Universal Consciousness, Universal Success Principles, how to Manifest things for yourself and others using the Spiritual language and the rest of the things you have wondered about. If you read the book three times, and do some of the things spoken of, your life will never be the same. You will move up the Spiritual Evolutionary ladder. Go to and have a look at the book, and read the book reviews. They are most all 5 stars.